When Instagram starts thinking it’s Snapchat, you know there’s a reason to worry. Instagram has been accused, both maliciously and jokingly, of stealing the uniqueness of Snapchat. While this issue can be disputed at the hands of “doing good business” and “giving people what they want,” people are losing their heads over the newest Instagram addition. Earlier this month, Instagram added a new feature to its plethora of user friendly options called Instagram Direct. Direct allows users to upload photos and videos with limited time durability, much like Snapchat. This feature started doing the rounds with people on the receiving end — taking screenshots with no worry of being caught. The logic stands that if Instagram copies a feature from Snapchat, one can only imagine they’re going to make it better and mold it to the likes of the audience, the majority of whom doesn’t want their friends to know they’re secretly taking screenshots of gullible confessions and embarrassingly funny expressions. 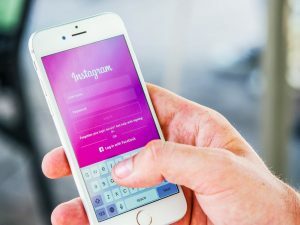 However, Instagram recently announced that on taking screenshots of disappearing messages and photos, the sender would receive direct notifications. A wave of panic and terror has already swept over frequent screenshot-takers who worry their unhealthy and low-key stalker syndromes might be brought out into the open. In other words, Instagram is now Snapchat and we all are in trouble. Users are responding to Instagram’s increasing familiarity with Snapchat. PHOTO VIA PEXELS. I, for one, have some problems with this and even more questions. To start, if Instagram continues with its personality predicament, how will it sustain its individuality that sparked the app’s profits in the first place? Furthermore, Snapchat is adored and frequented because of its traits, completely independent of Instagram’s reasons for its surge to popularity. Both mediums serve different needs, which is exactly why they’re both so well-liked and among the most used platforms for the digital generation. Let’s take a wild guess as to who will lose audiences if this game of stealing features continues. It’s definitely not going to be the OG of screenshots, Snapchat. What makes this disturbing news even harder to swallow is that there is a screenshot feature that asks you if you want to share the post with your friends. How about no? Since Instagram Direct is very similar to Snapchat, it’s understandable why the makers would want to go all out in duplicating the features to the T. Here’s an interesting fact: this feature has been noted only on iOS and not on Androids. As the feature is in its testing phase, we can’t be sure if it’s here to stay or if the algorithm will make its way to the wastebasket (much like other tried, tested and failed ideas.) I not so secretly hope to have the original Instagram back, allowing me to use these two applications for what they’re really meant for. Why must I waste my storage on duplicate apps? On a brighter note, the posts on your Instagram feed will remain unaffected by this screenshot notification epidemic. I hope it hides in a safe house and is unaffected by the hands of the split-personality robot working the desk at Instagram.